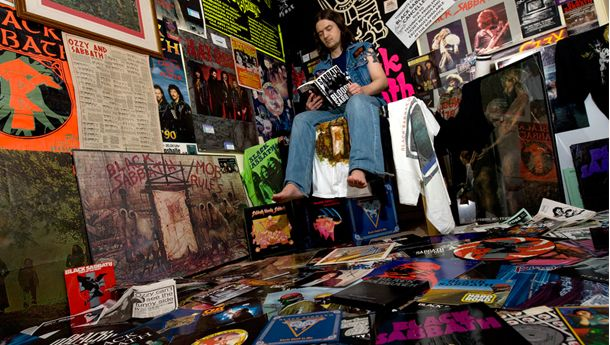 Tim Wall’s Studying Popular Music Culture is that rare thing, an academic study of popular music that seeks to tie together the strands of the musical text, the industry that produces it, and the audience that gives it meaning. Wall acts as a wary guide to an industry that is currently in total flux, showing the reader how conventional histories of popular music are shaped by social, industrial and technical factors that ultimately leak over into the ways in which we listen to and interpret music. This new edition provides a timely account of the history of the recorded music industry and the challenges it faces as it enters the twenty first century. Readers are provided with ways to understand the changing nature of the music industry as it responds to new technologies and industrial approaches, with an ever-keen eye on how industrial practice relates to the ways in which audiences consume and use popular music in a variety of ways. Wall’s lucid style provides a coherent summary of a cultural form that is never easy to grapple with at the best of times. Studying Popular Music Culture is a vital read for anyone interested in the changing nature of popular musical production and consumption, whether as student, an industry insider or just a fan of popular music. Posted by wallofsound in Abstracts, Music History. This article explores the ways in which the BBC has scheduled popular music programming on BBC4. 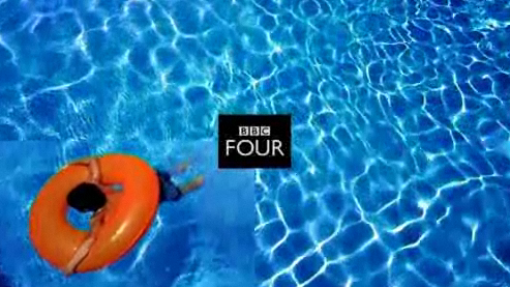 Launched in March 2002, BBC4 was the Corporation’s first foray into the digital distribution of television programming. For the station’s originators the channel was a site for high-quality and distinctive programming, especially in music, offering a serious approach to its subjects in tandem with a commitment to myriad listening and viewing pleasures. Peter Maniura, the BBC’s Head of Classical Music charged with formulating the channel’s music policy, has said that his intention was to ‘broaden the mix and give more depth and volume’ and to give airtime to popular music genres not usually covered on ‘mainstream’ channels. Janice Hadlow, BBC4’s original controller, has said that the channel aimed to challenge viewers: its goals in music programming ‘allow people to enjoy what they know and love already, but also about introducing an intelligent and discerning audience to new and challenging music’. 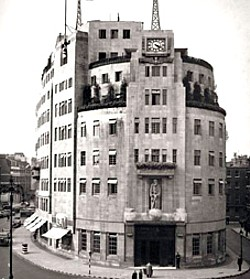 The channel offers music-themed nights, or extended seasons of music programming, often acting as a testing ground for new approaches to music broadcasting by the BBC. Friday night has become the point in the week in which popular music programming, and music theming, is concentrated. An evening’s schedule will usually be built around a new BBC documentary production supported by rebroadcasts of material taken from the BBC’s extensive television music archive. We ask: how have BBC4 programmers managed music commissioning and scheduling across broadcast, online forums and social media platforms? And in what ways is the material presented in the Friday night slot understood in relation to a wider set of practices around popular music heritage exemplified by magazine such as Mojo or Uncut and Simon Reynolds much-discussed Retromania thesis? We suggest that the ongoing ‘curation’ of pop’s heritage (which perforce involves a contribution to defining that heritage) and archival retrieval by the BBC of its own recordings, highlights a history of the treatment of popular music and ways of treating its forms seriously as behooves the public service remit. The nature of this programming is exemplified by the Britannia documentary series and one-off films which concern the history of musical genres and related cultural activities in the UK. Beginning with Jazz Britannia in 2005, subsequent contributions include similar treatments of folk (2006), soul (2007), dance music (2007), pop (2008), prog rock (2009), synth (2009), blues (2009), heavy metal (2010) and lately punk (2011) (see: Long & Wall, 2010; Wall & Long, 2011). With notably high production values, extensive archival research and interview schedules, such programmes utilise an impressive wealth of media sources, as well as many original contributions from performers and critics. Original documentaries are screened alongside repeats from the BBC TV vaults such as complete episodes from Jazz 625 (1964–65) or compilations of available performances from series such as Monitor (1958– 65), Colour Me Pop (1968–69) or The Old grey Whistle Test (1971–87). Posted by wallofsound in Northern Soul. 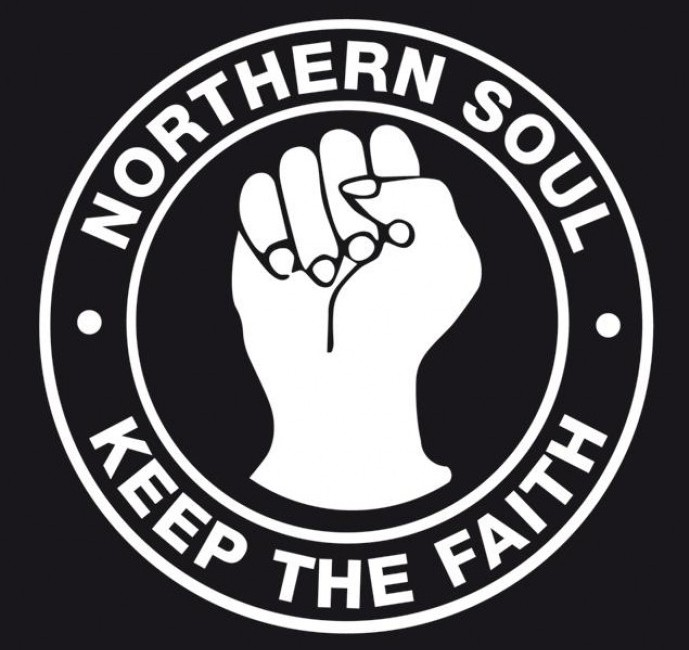 There are a number of myths about the UK Northern Soul music culture which tend to disguise how soul fans have operated as a self-sustaining community over the last forty years. Drawing upon my own experience on the scene, and my published research, I’ll be highlighting three of these myths and examining how a networks of venues and DJs established a body of recorded music and forms of dance as the basis of the Northern Soul community. In doing so I want to ask some questions about the place of venues like Wigan Casino, the conventions of dancing at a Northern night and, perhaps most controversially, the role of class, gender and race on the Northern dance-floor. Posted by wallofsound in Publishing. 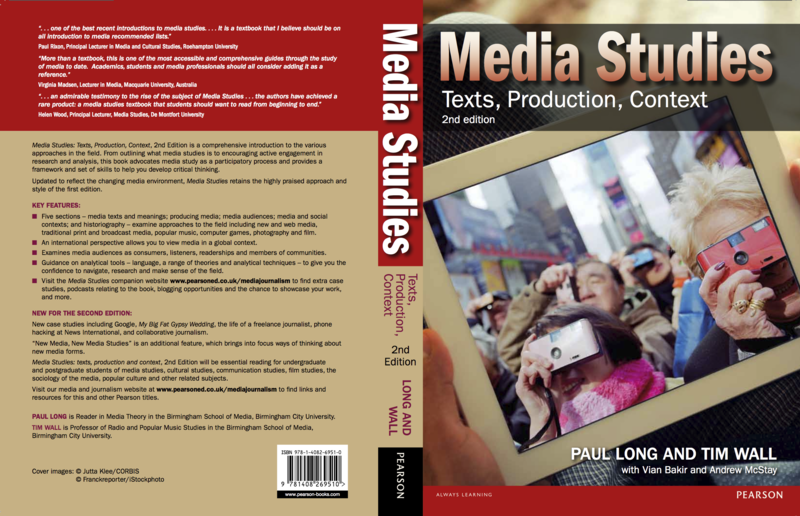 There will be a new edition of the book I wrote with Paul Long out soon. This is how you’ll recognise it. Posted by wallofsound in Music in the media. A few months ago I posted an analysis of The X Factor in 100 words. It was an abstract for an essay accepted for a new book, Mythologies Today. The book aims to return the Roland Barthes’ famous essays from the 1950s exploring the ideological operation of French popular culture. I have always admired Barthes’ essays, and particularly his written style. The way he discusses his subject — the meaning of popular culture — is not simply a report of his analysis, but an unfolding investigation of the way language functions to naturalise ideas. I have now completed my full essay. At 2500 works it is at the upper end of the typical length of a Barthes essay. I have distilled that essay into 1000 words. Here, x marks that factor that we cannot define and so struggle to name, standing for that elusive quality. The show intertwines the quest to find the person with that elusive quality, with the contestants’ personal journeys of self-discovery. In the narrative arc of this series, each weekly programme sets out a stage of the journey of discovery, repeatedly calling upon the ‘backstories’ of the contestants as we join in the quest for the x-factor, which is to be found in ‘the recording voice’ of the winner. The X Factor is a production line for the end of the age of the record and the start of the age of something not yet formed, let alone named. The X Factor turns the process of star-making into the textual form of a new music commodity. The music industry used to make stars to sell records, the programme makes records to sell the process of making a star. It superficially resembles elements of the television talent contest, the docusoap story of pop star lives, and the variety show, but The X Factor is as much the creation of the practices of the music industry as of television. In establishing itself as a successful television format, The X Factor has come to represent the story of discovery and fame, but in the beginning the programme needed to establish a frame of reference for us as viewers by drawing upon the life stories of the judge-mentors. Simon Cowell, the music label entrepreneur, Louis Walsh, the pop group manger, and Sharon Osbourne the rock manager and docusoap star. Later, the judge-mentors – Dannii Minogue, Cheryl Cole, Gary Barlow, Kelly Rowland and Tulisa Contostavlos – increasingly personified the very music stars that the contestants aspired to be. Each judge-mentor represents a distinct emotional archetype: Cowell, the teller of truth; Walsh, ‘the gusher’; and Osbourne the nurturer. Cole later stood as the teller of a deeper truth, buttressed by the sense that she had experienced what the contestants were going through in a way that Cowell and Walsh just had not. The role of judge and mentor is unstable within the myth of the quest for the x-factor, and makes little sense in the televisual logic of the talent competition. However, in the mythical world of fame-making the emotional archetypes are more important than the functional roles they initially represent. The dynamic of these characters also requires a third functional role and emotional archetype. Initially this was former pop journalist Kate Thornton, reprising her role in Pop Idol, and in later series, Dermot O’Leary repeated his Big Brother persona, combining the functions of narrator, interrogator and contestant’s friend. While the x-factor cannot be defined, named, or represented it can be experienced as sound. 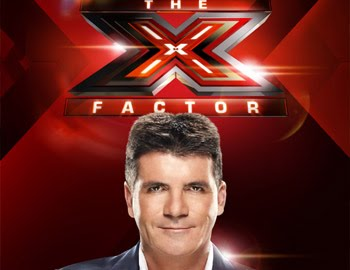 In The X Factor, ‘the voice’ functions to be heard and recognised, to be selected, and ultimately to be recorded. X is sounded but not marked; performed but not pronounceable. Our own role as audience members is also mythologised. Just as the new forms of social media seem to offer a greater democratic participation than the old, X Factor seems to offer us a say in the A&R process we were once denied. And just as the old music industry insisted that, ultimately, we chose who the pop stars really were, we are assured that we have a role in auditioning the contestants. In the final stages of the selection process, we can vote for our favourites, securing their place in the future weeks. Even in the face of an insistence from the judge-mentors that a contestant is not good enough, we can, through our collective will, overturn that decision. This is an interactive role which extends beyond that of TV viewer to text voter, and further into the weekly post-show spin-off Xtra Factor, the online forums, and Twitter hashtag exchanges. However, when we have made such a commitment to an artists and their journey, we are much more likely to buy the record which is the end product of the process. The X Factor is the new music industry at work: selecting the potentially talented raw material from the spoil; refining the potential of the contestants to the perceived requirements of the market; commodifying this output into a saleable record; and finally building additional forms of consumption into further saleable services that turn the primary text into a metatext. Cowell’s independent music and television production company, Syco, makes both the record and the television programme, and sells the former to pop fans in order to sell the latter to television networks. The networks themselves will pay significant sums because the popularity of the programme enables profits to be made by selling the viewing audience to advertisers. Just as the programme invests in the raw material of contestants who may have ‘the voice’, Syco invests in the production of a record to make a television programme, and the networks invest in a programme to buy an audience it can sell to advertisers. Each of these is a process of capitalisation, and while we are invited to share in the dreams of aspirant pop stars, it is the dreams and aspirations of the owners of this capital who ultimately benefit. While the contestants labour hard to develop themselves, the real returns flow to the holders of the capital resource. At one level, The X Factor is the pop process laid bare; at another, it is the multimedia promotion arm of a record industry. That talent and opportunity are the keys to success is the show’s core message; fame and stardom the ultimate ambitions. The real opportunity, though, is to remake pop music for an age in which the record is no longer the bankable commodity it once was. Stardom is no longer the long-term process of capitalisation, but the short-term means to capitalise the audience. Ultimately, we all know this is all there; it’s just that we struggle to give it a name. The first documentary series on popular music history was probably Tony Palmer’s seventeen-part series All You Need Is Love which was broadcast on the British commercial television channel ITV in 1977. The full series is now on DVD, and extracts can be found online. At the time of the DVD re-release, the series was criticised for its celebration of various international rock artists as being the future of popular music, dismissing disco, and missing out on the then emergence of punk (see, for instance, Lundy 2008). The criticism seems particular pertinent because the final programme in the series looks at the future of popular music through now little-known artists when, at the very moment of its screening in 1977, the moral panic about punk reached its zenith in the UK. Given that punk has taken on a position as a landmark of musical development in post-1980s histories, akin to that of rock and roll in earlier histories, the absence seems important. However, this is to suggest that Palmer did not make his history totalising enough, and that pop histories is simply about citing well-known artists or genre styles. Looking beyond artists names, we are presented with a set of themes that convincingly anticipate the characteristics of twenty-first century pop. These include both Glastonbury-like post-consumerist, collective, sustainable lifestyle music, and pop as a producer’s medium, slickly devised with scientific accuracy in studio technologies. More interestingly, he uses them to assert pop’s paradoxical and manufactured character, contrasting highly abstract with very personal styles, and stadium success with intimate rural retreat. While he misses the emergent energy of punk he does highlight the fusions of rock, folk and ‘world music’ ignored in most histories and the synthesizer-based, programmatic music that gave us disco, electropop and rave. In a longer study of the series, Paul Long and I argued that perhaps because the series predates the print-based totalising histories examined in chapter 1, it avoids an overreliance on narratives of disruption, as well as downplaying the idea of musical roots which had dominated an earlier generation of popular music analysis (Long and Wall 2013). However, the series does consistently deploy the contrasts of margins and mainstream that are common in other pop histories, and which Palmer uses to present pop music as the voice of the people and of individual genius. Both for the time, and since, the series uses a relatively experimental televisual language to investigate popular music and encourage the viewer to about how it is meaningful. However, too often it ignores the popular culture which made the music, and tends to evaluate artists in the terms of high art. Nevertheless, we concluded that All You Need Is Love, and Palmer’s other popular music documentaries, insist that we seriously consider the past of pop and the questions that they pose to us, while more recent television histories seem more committed to reiterating an answer we already know. By the turn of the twenty-first century television pop histories had become commonplace in the schedules. The BBC in the UK has been particularly productive in making such history documentaries, with most screened on the digital cultural programming channel, BBC4. The range has been impressive, and the value of individual programmes signaled by their central place in a themed evening of programming devoted to the subject of the documentary. Given the BBC’s commitment to public service broadcasting, and the channel’s mission as “an originator of high quality, distinctive programming, … unashamedly intelligent yet stimulatingly pleasurable”, it is revealing to examine the well-regarded music Britannia histories of music in Britain. Starting with the broadcast of Jazz Britannia in 2005, the corporation has commissioned similarly named investigations of Folk (2006), Soul (2007), Dance (2007), Pop (2008), Prog Rock (2009), Synth (2009), Blues (2009), Heavy Metal (2010), Reggae (2012) and Punk (2012). Jazz Britannia created a template for following documentaries, with its history of jazz in Britain narrated by actor Terence Stamp, its impressive wealth of archival clips from television, film and radio, still images, press cuttings, and many original interviews with British jazz players from the post-war period, supported by critics and chroniclers of the genre. As part of our on-going study of the mediation of pop history, Paul Long and I have produced detailed analyses of the Britannia franchise (Long and Wall 2010; Wall and Long 2010). While the early Jazz Britannia and Folk Britannia programmes featured considerable innovation in bringing neglected parts of British popular music and culture to the fore, they did tend to work within totalising narratives. 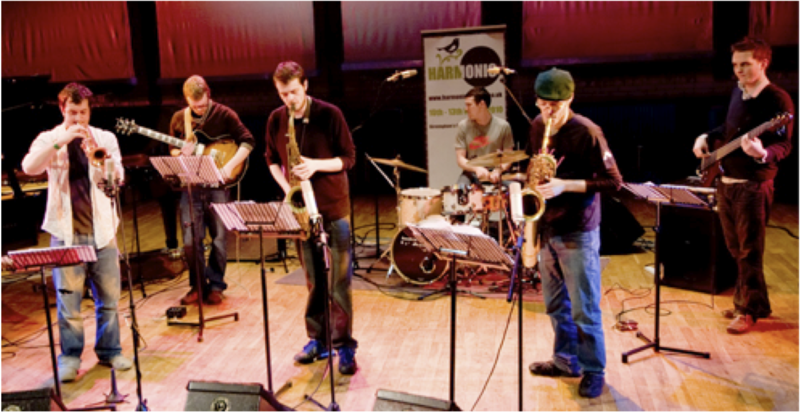 The jazz programme is constructed around a standard narrative of disruption in which the music moves back and forth between the margins and mainstream of popular culture. This structure also highlights the way that the programme mediates previous mediations of the music in the way it organises archive material from televison, film and the press. By this we mean the programme tells its story of the oscillating popularity of jazz in Britain using extracts of media material of the original events, which themselves offered a particular representation of their subject. Nevertheless, we concluded, in a comparison with the far better known, but often critiqued, Ken Burns’ Jazz documentary, we note that the programme does not take an existing story as its template, and genuinely tries to place British jazz in its cultural context. By contrast, the programmes which followed made use of the format of the two first series as a formula, and the some of the documentaries feature very superficial narratives. In Pop Britannia, the story is constructed around the idea that “for the last 30 years, British pop has been locked in a constant struggle between the forces of art and commerce” (BBC 2007). While this emphasis on art versus commerce in many ways reflects one of the themes Tony Palmer utilised in his productions in the 1960s and 1970s, Its use in Pop Britannia as the key narrative idea it is crudely totalising, only assigning meaning to different aspects of British pop on the basis of the degree to which they are perceived to be artistic or commercial. Because the music Britannia programmes are so conventional, following a pattern established in many ways by Tony Palmer, it is often hard to see how else pop music history could be investigated. A useful contrast here is a programme made by the same producer/director responsible for the jazz and folk Britannia series, Mike Connolly, and presented by music journalist Paul Morley. Pop! What Is It Good For? was broadcast on BBC4 in 2008 as part of a themed three-weeks of programming that included Pop Britannia. Its form and approach could not have been more different from the latter programme, however. The conceit at the heart of Pop! What Is It Good For? is that we are watching a ‘made as-it-happens’ investigation of pop in which director Connolly and presenter Morley investigate how to make a programme about pop. Like all television, though, it is highly calculated. Built upon Morley’s 2003 book Words and Music, a 360-page investigation of the relationship between a series of records with which Morley was then obsessed, the programme concentrates Morley’s earlier argument into a journey of investigation around six songs. In an example of this connected reasoning, the programme title puns on the title of Edwin Star’s ‘War! What Is It Good For?’ At the outset the presenter poses a series of personal propositions over a montage of images from the music’s past: pop songs reflect and organise our consciousness; they compile memories sticking the past together, “showing me the future, the possibility of possibility itself”. Taking the theme of art and commerce common to Palmer’s work and Pop Britannia, Morley investigates it as a tension out of which pop culture is created. Narrating a journey across the UK to unpick how pop is made, marketed and consumed, director and presenter connect pop music as recording with its processes of production and personal identity. Cleverly taking Kylie Minogue’s ‘Can’t Get You Out of My Head’ – for Morley “a song about a song – and connecting it in his own mind to US late 60s punk band the Stooges, 70s Euro-disco artist Donna Summer, and minimalist art composer Philip Glass. The programme then unearths the story of how it was made, assigned to Minogue and then promoted through interviews and demonstrations with the record’s producer and video’s director. Media archives here become fragments of memory, often presented on a split-screen with images of Morley assiduously pursuing his quest. The presenter and, slightly less often, the director pervade the programme personalising the investigation. Pop, the programme implies, is no longer something to place in an objective chronology, and organise with a totalising story, but a sophisticated web of meanings and cultural meanings. The six selected records take on the metaphor of six degrees of separation, in which one pop record is only ever six steps away from all other records, and the connections between records tell us something much more substantial about the culture of pop than the authoritative ‘voice’ of conventional documentary style. BBC. (2007). ‘Pop Britannia: Episode Guide.’ from http://www.bbc.co.uk/musictv/popbritannia/episodes/. Long, P. and T. Wall (2010). ‘Constructing the histories of popular music: The Britannia series’. Popular music and television in Britain. I. Inglis. Farnham, Ashgate: 11-26. Long, P. and T. Wall (2013). ‘Tony Palmer’s All You Need Is Love – Television’s first pop history’. Sights and Sounds. B. Halligan, K. Fairclough and R. Edgar. New York, Routledge. Lundy, Z. (2008). ‘All You Need Is Love’. PopMatters. Wall, T. and P. Long (2010). ‘Jazz Britannia: mediating the story of British jazz on television.’ Jazz Research Journal 3(2): 145-170.